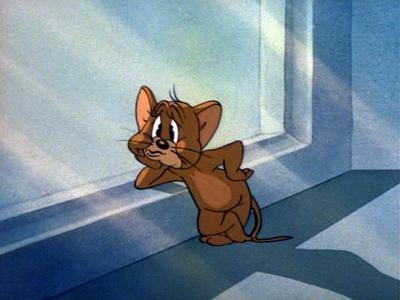 You are currently browsing the category archive for the ‘Tom & Jerry’ category. 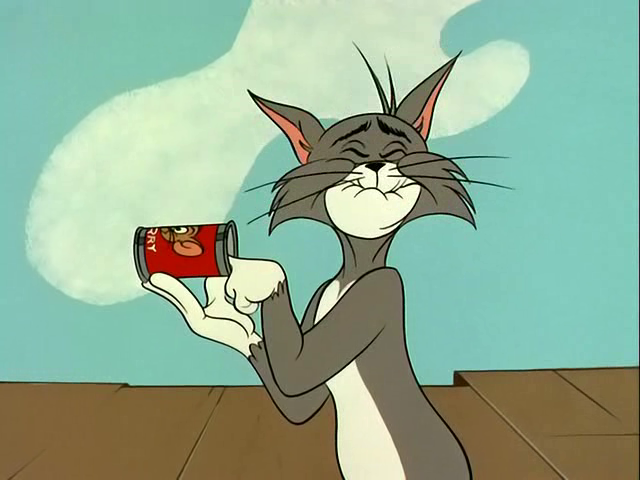 ‘Purr-Chance to Dream’ was Tom & Jerry’s very last theatrical cartoon. 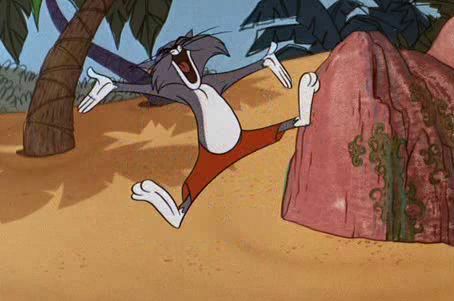 It marks the rather welcome end to the Chuck Jones era, which, despite a few highlights, was a very disappointing age for the cat and the mouse. ‘Purr-Chance to Dream’ is no exception. 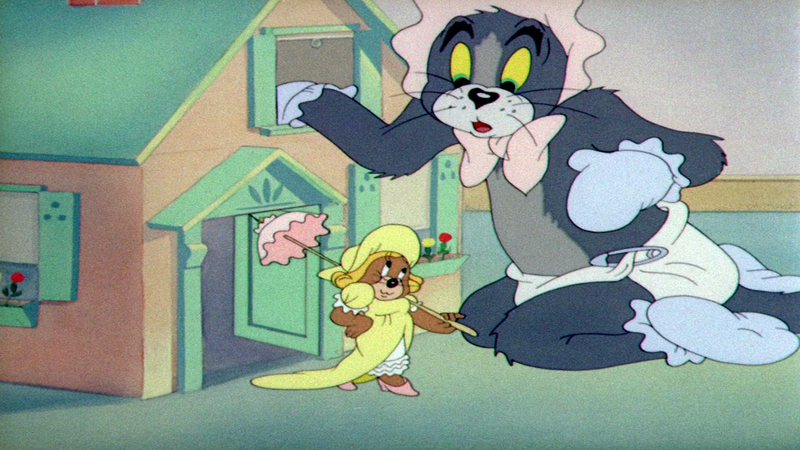 In this short, Tom is haunted by nightmares about large bulldogs. But when Jerry has acquired a tiny bulldog, this reality is even worse. 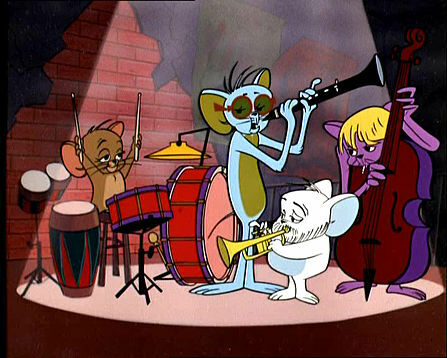 The tiny bulldog is the same as was featured in ‘The Cat’s Me-ouch‘ (1965), and so ‘Purr-Chance to Dream’ reuses quite a lot of animation from the earlier cartoon. 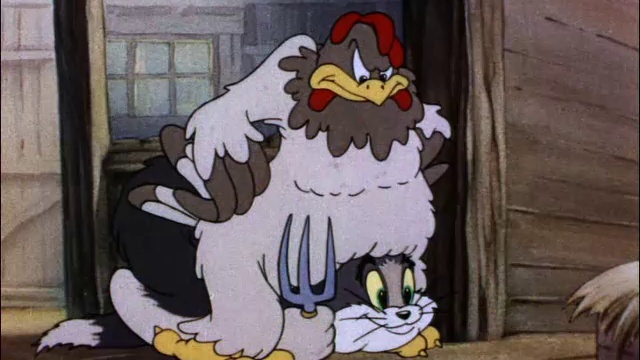 The good news is that this results in better designs of Tom and Jerry than usual in their 1967 cartoons. Carl Brandt’s music, however, is terrible, and so are the gags, making ‘Purr-Chance to Dream’ anything but enjoyable. 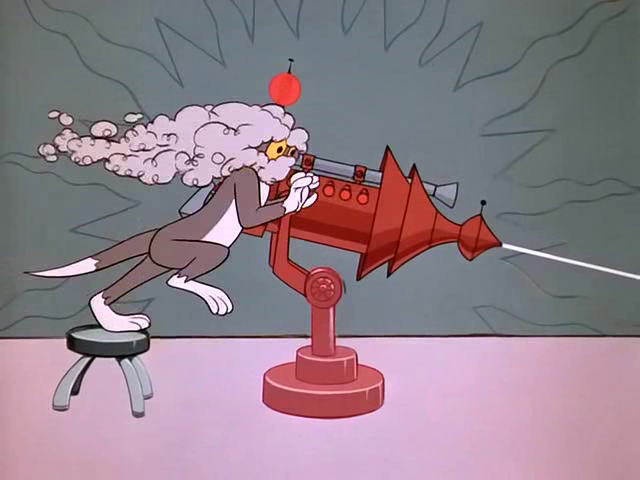 ‘Advance and Be Mechanized’ is the third of three science fiction cartoons starring Tom & Jerry, released in 1967, the others being ‘O Solar Meow‘ and ‘Guided Mouse-ille‘. 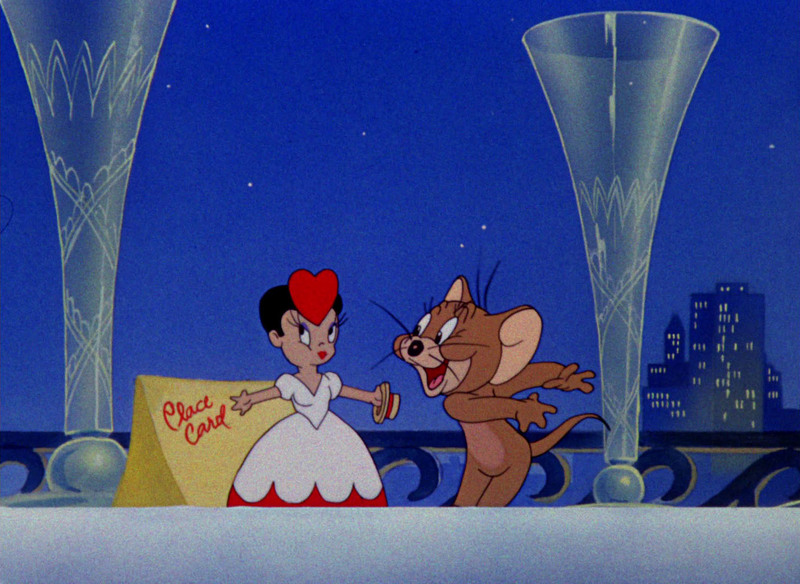 In their third science fiction short Jerry’s stealing cheese from a ‘cheese mine’ protected by police officer Tom. 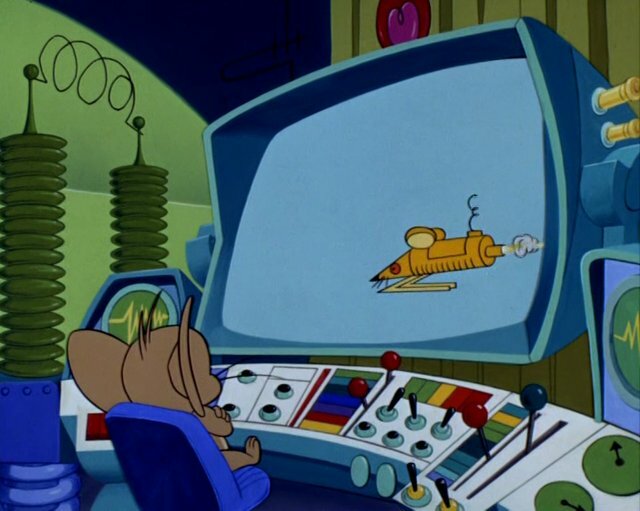 Both use the robots from ‘Guided Mouse-ille’ to fight each other. The film uses a whole scene twice and reuses a complete scene from ‘Guided Mouse-ille’, adding to a very cheap feel. 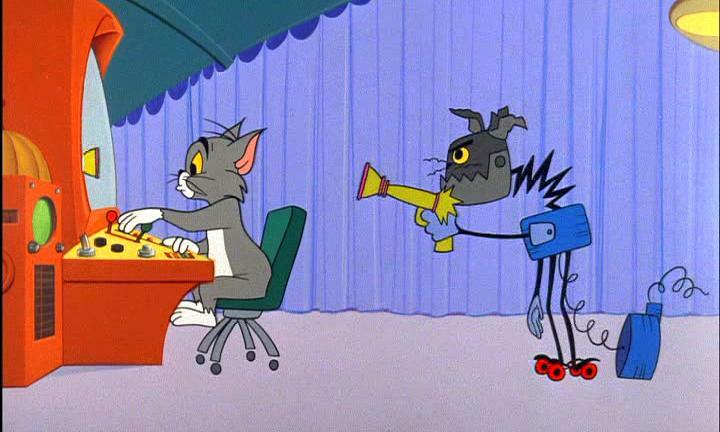 The end is particularly depressing when the two robots turn Tom & Jerry themselves into mindless robots… They could hardly be further removed from their glory days than in this cartoon. 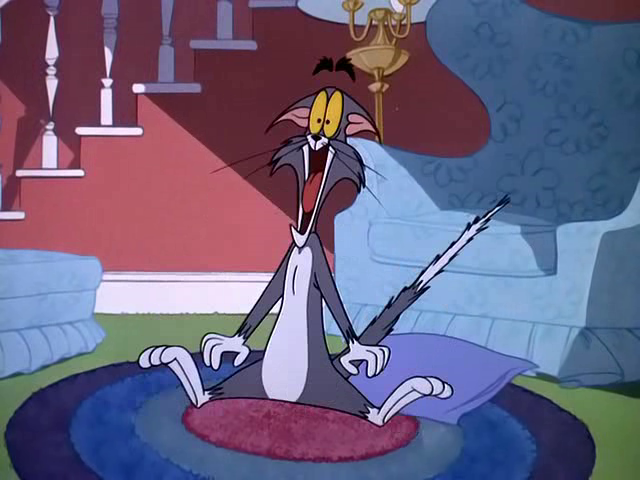 ‘Shutter Bugged Cat’ is the fifth and last of Tom & Jerry’s compilation cartoons. 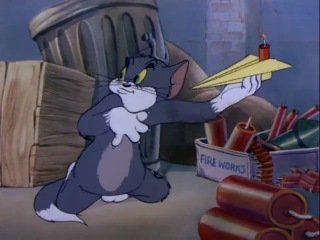 In this short Tom is playing 8mm films of his own injuries, while Jerry is watching, too. 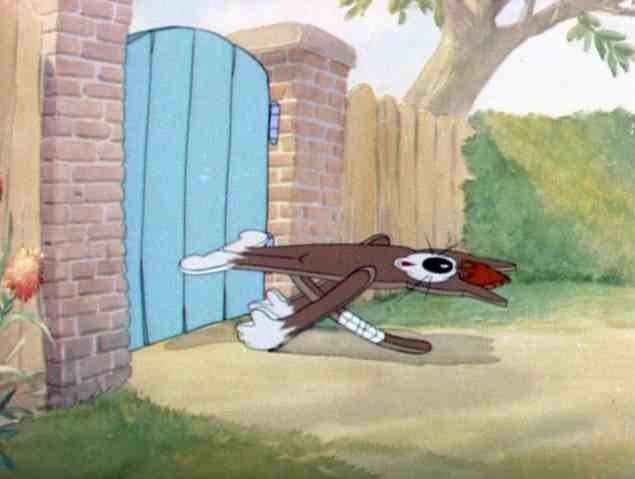 This compilation cartoon, like all others, makes exclusively use of Hanna & Barbera material. It is atypical, however, in its execution: the excerpts are much shorter and from many more films than earlier compilations, and many of them we see in reverse, as well, when Tom plays his 8mm films back. 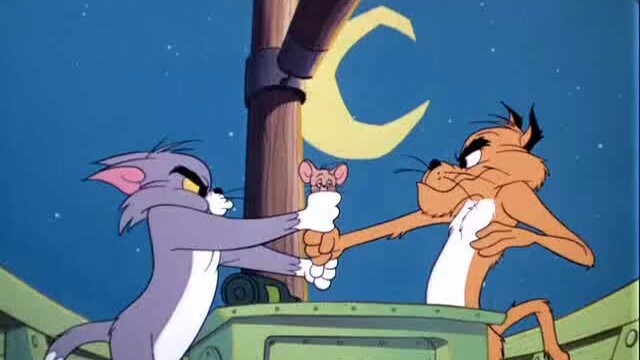 The designs of Tom and Jerry in the framing story are different from those in other Chuck Jones Tom & Jerry cartoons, probably to match them more with the Hanna & Barbera designs. 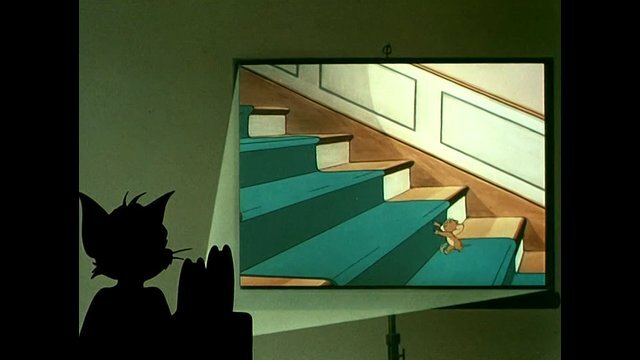 Unfortunately, the result turns out to be particularly bad, making Tom & Jerry look almost as bad as in their Gene Deitch films.